TTS Logistics Inc. was founded in the fall of 1998 and is comprised of the most highly motivated and professional teams in the tradeshow management and event logistics industry. With more than 150 years of combined experience under our belts, there is virtually no challenge our team hasn’t seen. Since the beginning, we’ve been committed to doing what’s right at all times. TTS has built our office and staff around this core belief and it continues to be the driving force of our success. Learn more below about the people who are responsible for making us one of the most trusted companies in tradeshow services. After graduating from the University of Georgia in 1991 with a Bachelor of Arts in social work, Kelly moved to San Diego to pursue her Master’s Degree in Business. While studying with her business partner at a local coffee shop in La Jolla, they both decided to pursue their dreams of starting a business. She was awarded her master’s degree in 1998 and shortly thereafter, TTS Logistics, Inc., was launched. 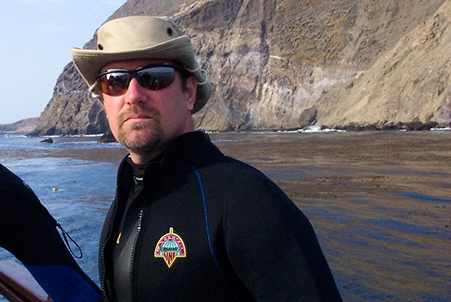 Michael’s previous career as a Naval Aviator equipped him with learning how to face the unexpected challenges of starting a business. Knowing how to switch gears instantaneously and finding solutions quickly in the face of adversity helped us to build a foundation for our company. 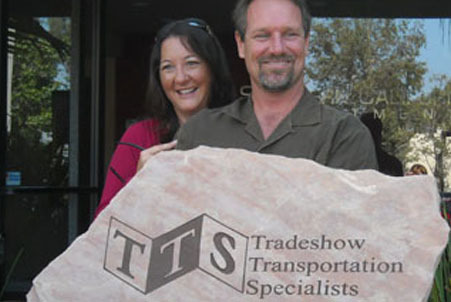 Since starting Tradeshow Transporation Specialists, we have grown from a small office on the beach here in San Diego, to a 6,000-square-foot office/warehouse complex. TTS’ success can be attributed to our exceptional staff and our constant pursuit to improve the service for our clients. TTS Logistics Inc. specializes in worldwide shipping of exhibit materials to and from tradeshows with round-the-clock freight services, seven days a week — even holidays and after hours!